Whether you're traveling in a vehicle, on a bicycle, skateboard or by foot, it's important to know the rules of the road. A pedestrian is a person on foot or using a conveyance propelled by human power (skates, skateboard) other than a bicycle. Pedestrians, cyclists, skateboarders, and highway construction workers are known as pedestrians. Pedestrians also include disabled persons who may be using powered devices like self-propelled wheelchairs, tricycles, or quadricycles. 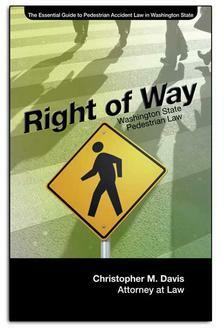 Here's a quick guide: which of the following are considered pedestrians? Skateboards and roller skates are great fun, but they are not considered lawful vehicles. Since they operate at a speed that makes it difficult for motorists to spot and react to, they are not allowed on roads except when crossing the street. Skateboarders are considered pedestrians under Washington State law. Anyone using a skateboard or roller skates on a sidewalk must use them with ordinary care, at a safe speed, and must yield the right of way to other pedestrians on that sidewalk. The answer to that is it depends on the circumstances. When a bicycle is traveling on the road, the law considers it a vehicle and is treated as one. The rules of the road that apply to motor vehicles will also apply to bicycles (though there are some exceptions) and cyclists are expected to obey those rules while traveling on the roadway. However, a bicyclist traveling on a sidewalk may be considered a pedestrian, and therefore should be afforded the right of way over a motor vehicle. Of course, a person who is not riding his bike but is instead walking with it will be considered a pedestrian. Again, the actual circumstances involved in the incident will heavily if not completely determine whether a bicyclist should be treated as a motorist or a pedestrian.